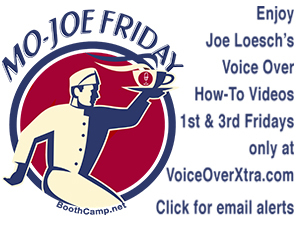 Can You Make Money For Your Voice-Over Clients? Three years ago, two aspiring voice actors took the plunge and opened up shop. One was incredibly talented, undisciplined, and thought he always knew best. The other one wasn't as good, but she was business-savvy, and listened to feedback. Thirty-six months later, number one is now an Uber-driver, entertaining his clients with celebrity impressions. Number two is starting to make a living… as a voice talent. Simply put, it takes more than talent to make it as a freelancer, no matter what field you pick. Way more. Let's explore. WHO DO YOU MAKE MONEY FOR? Here's a question for you. If I were an investor on Shark Tank or Dragons' Den, and you came to me with a pitch to back your business, what would I be looking for? Number one: I'd look for your ability to make me money. By the way: that happens to be the same reason why agents sign you, and clients hire you. "Will your voice help me spread my message so I can make more money?" Even if you work with a non-profit, it's always a matter of benefits and costs. The benefits of hiring you should outweigh how much your clients pay. If that's the case, those clients will perceive you as an asset, and not as an expense. There's a lot of psychology in selling, but it starts with this: in a competitive market you have to offer a competitive product. Something that's different, or better than what's already on the shelves. If you're providing a service like voice-over narration, you better bring it from day one. Don't jump into the ocean if you barely know how to swim. Amateurs learn on the job, and they get eaten alive. Professionals know what they're doing, and they're able to survive. In the Shark Tank as well as in real life, you'd need to bring something to the table that's rather unique; a brilliant solution to a common problem, sold at the right price. Yes, you heard me. As one of the investors, I would expect you to know what you're worth and to charge accordingly. Mark my words: Those who sell themselves short aren't taken seriously. convince me why I should trust you. And it's important that you present your plans compellingly and logically, particularly under pressure. The reason is simple. If you cannot sell yourself, how will you ever sell your service, especially if you are the embodiment of that service? Lastly, you'd have to show me your books. Some freelancers think this is the boring stuff, but to me, this is where things get interesting. No matter what business you're in, the way you manage your money is one of the most important predictors of success. You may have the most enchanting voice in the world, but if you don't price for profit, and you spend more than you make without even knowing it, you may end up driving for Uber. No matter what some people want you to believe, you cannot run a profitable voice-over business on a shoestring budget. It starts with getting the proper training. Clients pay you because they trust that you know what you're doing. They don't expect you to figure it out on the fly and on their dime. Just as a carpenter needs quality tools to deliver quality work, you need to have equipment that says you're taking this voice-over thing seriously. Otherwise, you're nothing more than a hopeful hobbyist talking into a stupid snowball microphone. Now, if you're just getting started, here's something you probably don't want to hear: without a dedicated, isolated, and acoustically treated recording space, you're not going to make enough money to stay afloat. When a client calls, or there's an audition, you need to be able to jump into your booth and press "record." Otherwise the client will go somewhere else, and you'll be last in line for that audition. You really can't afford to wait until your neighbor stops using his snow blower, or until that barking bulldog finally falls asleep. An expensive microphone in a bad recording space won't sound half as good as a cheaper microphone in a treated environment. I think you get the point. Looking back at my career, building a home studio was one of the best investments I've ever made. It has paid for itself many times over, and frankly, I wish I'd done it earlier. Another investment you should make, is an investment in something invaluable that cannot be bought or rented. You can't taste it, or touch it. Yet, everyone is using it every day (some to greater effect than others). The success or failure of your business greatly depends on how you spend your time. First of all, give yourself time to become good at what you want to do. Cultivate your craft. Don't rush it. There's a lot more to doing voice-overs than most people think. And just because it sounds easy, doesn't mean it is. Time is all about goals and priorities. We usually get things done that are important to us. People tend to get their "musts," but not their "shoulds." In a past profession, I interviewed many people who were considered to be a success. Politicians, captains of industry and entertainers. Most of them were incredibly busy, but they were really good at planning, or had someone else do the planning for them. That way, they made the most out of every day. These people were just like you and me, but they didn't spend hours checking Facebook or watching soap operas. What struck me most was their tremendous power to prioritize, delegate, and focus. Whatever they were doing at a particular moment, had their full attention. So, if you wish to learn from those who are where you want to be, don't ask them about the moment they knew they wanted to be a voice-over. Don't ask them about the silliest thing that ever happened to them in a studio. Ask them how they spend their time, and learn from it. This will help you get ready for the Shark Tank that is your professional life. 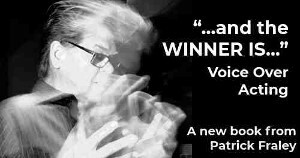 Paul Strikwerda is a 25+-year veteran of the voice over industry whose Nethervoice service features German and Dutch voice overs, translation and evaluation services. Born in Holland, he has worked for Dutch national and international radio, the BBC and American Public Radio. Although 90% of his work is in English, Strikwerda also records in Dutch, German and French. Clients include Novartis, Johnson & Johnson, and the Discovery Channel. 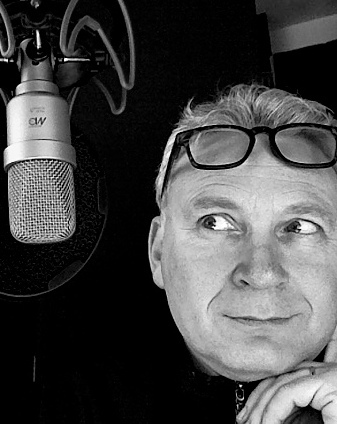 He is also a voice over coach, author of the book, Making MONEY In Your PJs: Freelancing for voice-overs and other solopreneurs, and writes an informative and entertaining blog. Excellent article, Paul. 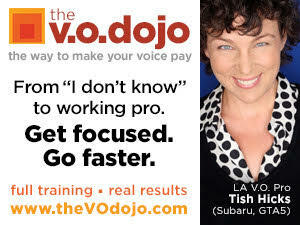 This is something I will save in my "Bookmarks" and share with anyone who asks me about how to get into the v/o biz.